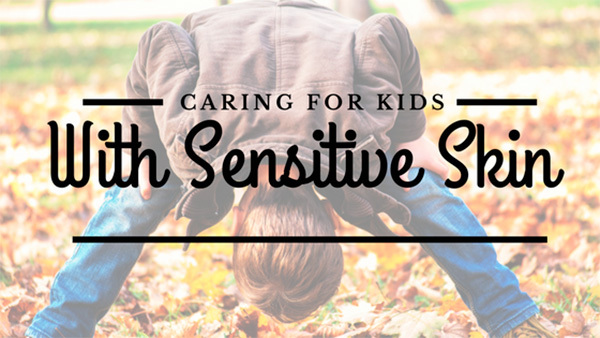 If you have a highly sensitive child who seems to have outbursts or catch fits when the tag on their clothing touches their skin or the seams from socks start irritating their feet, you may need to switch their clothing. Purchasing clothing that is tagless or seamless and made from breathable materials like cotton which are designed for children with sensitive skin from makers like SmartKnitKids can help with their frustration. It can be common for children’s products to be saturated with dye or perfume as a way to make it more attractive or inviting for them. From scented lotions and shampoo to colorful soap and harsh detergent, too much exposure can prove detrimental to a child with sensitive skin. To reduce their discomfort, it is highly recommended that you purchase products free from dyes and perfume. Check product labels to ensure that they are designed for sensitive skin and that they’ve been adequately tested by dermatologists. Every parent is aware that too much sun exposure is bad for your skin. However, when you have a child who has especially sensitive skin, you need to be extra cautious. The exposure can burn or even irritate their skin a lot easier. Apply sunscreen, make sure that your child is wearing protective gear like hats or sunglasses, and be mindful of how long you allow them to play outside. When you purchase new bedding or clothing for your children, washing them with special dye free, perfume free products before allowing them to wear or use the items can reduce the likelihood that it will irritate their skin. What many parents aren’t aware of is that there are a lot of chemicals present on the top of materials that can be eliminated or drastically reduced after a single wash. If you’re thinking of purchasing something new for your child with sensitive skin, but aren’t aware of how they may react to it, it is best to perform a patch test. This is when you apply the product to a small area on your child. Wait a few days to see how they respond to it. If you notice increased itchiness, a rash, or redness in the applied area, it is best not to use those products for your children. Talk with a dermatologist or your child’s pediatrician about lotions and moisturizers on the market that are best for children with sensitive skin. Make sure that you’re properly applying these lotions to your children every day to keep their skin moisturized as dry skin can cause scratching, rashes, and discomfort. Clothes, bedding, and the sun aren’t the only irritants parents need to be mindful of when raising a child with sensitive skin. There can also be irritants around the house that need to be removed. This might include aerosol products like air fresheners, bathroom cleaners, or furniture polish. They might also be sensitive to materials found in common areas like the sofa. You may need to prevent spraying while your child is present and invest in furniture they can sit on that won’t cause discomfort. If your child suffers from a skin condition like eczema, dermatitis, or hives, it is imperative that you reach out to a pediatrician or dermatologist for assistance. Your child may require prescription grade lotions and medications to recover from these conditions. Having a child with sensitive skin does mean you’ll have to pay close attention to the things they come in contact with. To ease their struggles and discomfort, it will be necessary for you to remove or reduce irritants, and invest in products designed for sensitive skin. Remember should you try these solutions to no avail, it may be necessary to reach out to a medical professional for more advice.